This text first appeared in Monument’s Residential Special 2001. This article depicts an architectural strategy for a practice that is common today: the ubiquitous house alteration. This strategy is such that the original house is not merely extended through the addition of programme (a bigger bathroom, another bedroom…); the original house is surrounded, engulfed and consumed by a second ‘foreign house’. This strategy of make over through take over brings about a trade-off, a delicate negotiation between that added and that taken away. The original house is programmatically interrogated and structurally investigated for points of least resistance, weak points, which might allow a second spatial organisation to take up residence. This is an architectural strategy that rejects the conventional idea of extension through extrusion; the house is extended by means of spatial intrusion. Lodge in the lodge! 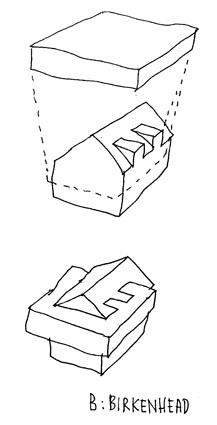 The resulting hybridisation confers a double identity upon the house. Part old, part new. The house hijacked thus bears the imprint of an intact structure having been rerouted. Unlike the crises associated with air travel, this takeover is one of mutual consent. 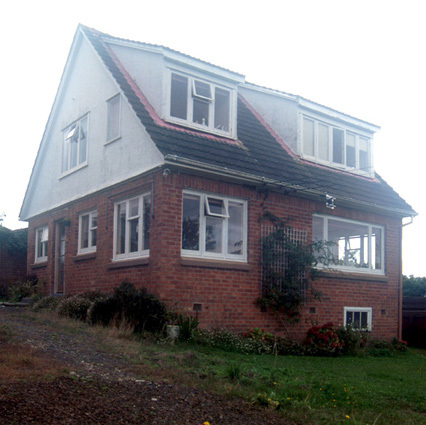 A house extension is, after all, only commissioned under the premise of home improvement. Though the persuasiveness of such a strategy resides in conceptual clarity, the actualisation demands some dexterity and sensitivity. There are, after all, a number of ways in which one can break into a house. 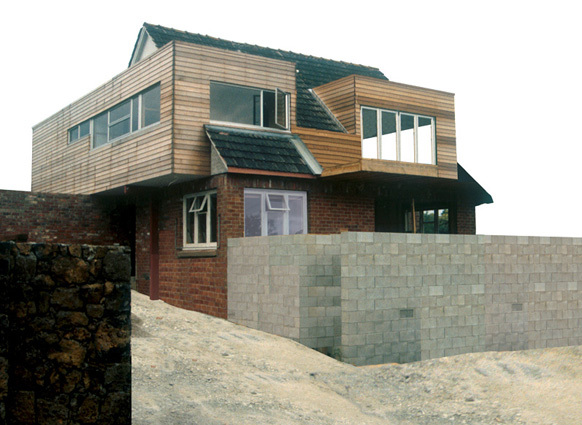 This author’s own attempt at single mass insertion was by ‘aerial assault’ (refer image of the B-Head House at Birkenhead) whilst our featured house by VMX Architects of Amsterdam demonstrates a ground-based manoevure. 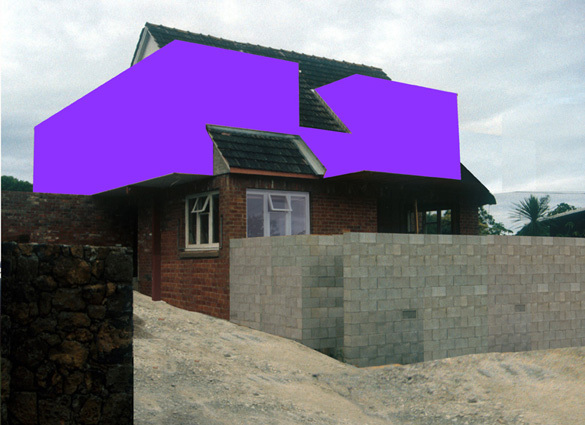 Seen from the street, the house hijacked might appear to be the gestural result of an architectonic collision. Under examination its inner workings reveal a more contrived collusion. A HOUSE, B-HOUSE There are many reasons that lead house-owners to modify their surroundings. Advanced domestics include familial break-up, expansion, divorce and affluence. In any case, the compliant client is a hostage to fortune. The homeowner allows him or herself to be put in a position whereby misfortune may strike through the financial loss of what he or she values most: the house as real estate. Yet “with house prices soaring in the Netherlands, buildings that were once regarded as banal are suddenly attracting fresh interest”. Case in point is the B-House diverted by VMX. The original (let’s say) A-house dated from the 1960s and, according to founding partner Don Murphy, offered little of note except its location. Yet today’s residential market with its defining mantra of ‘location, location, location’ seemingly privileges place over space – buck Context! 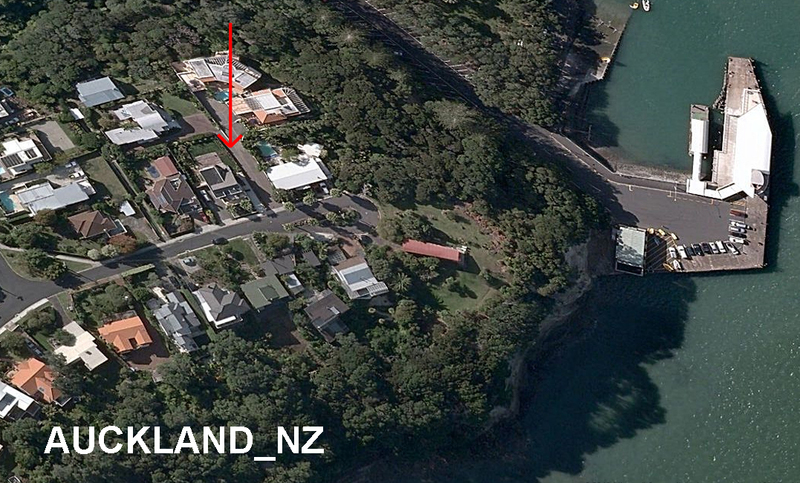 - and so the house “bordered on three sides by an urban park persuaded its owners to buy it. Although they had originally intended to demolish the house and build anew, after mature reflection they decided not to waste what was already there but to spend the same amount of money converting and enlarging it”. It is worth siting this House within its wider context. 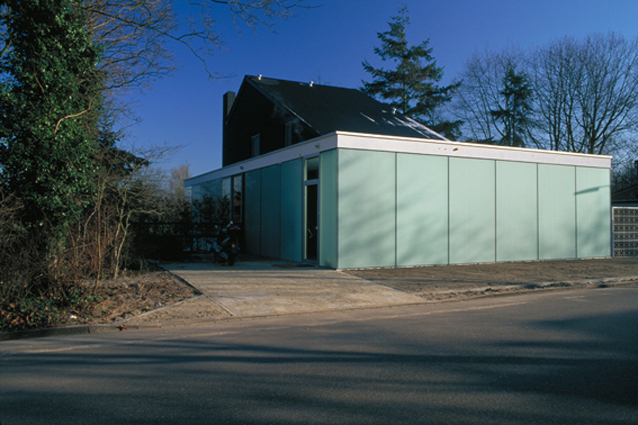 The individual house in the Netherlands is an exception rather than the rule (refer Residential Special 2000 ‘A reservoir of space’). 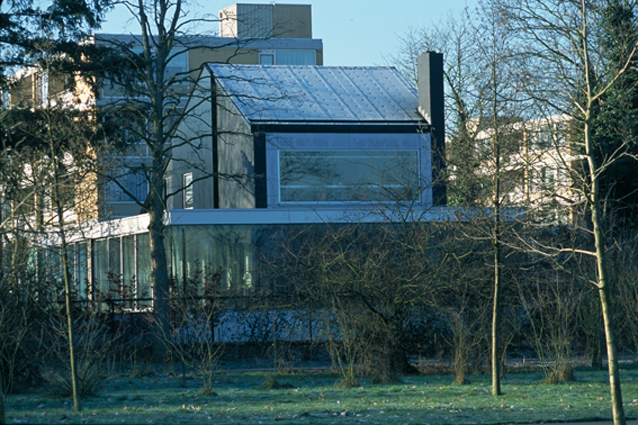 - the modern Dutch dwelling best represented by the apartment block. Given the attendant codes, specifications, regulations and constraints applicable to conglomerate housing, many Dutch practices are well versed in maximising the possibilities from the narrowest of margins. Playing with the rules so to say. VMX, unsurprisingly, arrived at the B-House via schooling in the permutative potential of dwelling. This lineage included victories in both Europan 3 and 4 – a biennial competition and provider of start-up projects for many young practices. Work in progress includes the 110-apartment Ijburg block in Amsterdam that, disbelievingly, permits parking outside your 6 th floor door! A veritable drive-through dwelling economically rationalised by an auto-elevator. Accepting its rarity then, any independent ‘ground-bound’ house in the Netherlands automatically commands a respectable value. The original AHouse was a building of modest presence; a cheap house on expensive land. The budget thus prompted a choice: the totality of demolitionconstruction or the duplicity of alteration. A house with one life or two? The continuous wrap of an indoor verandah space that constitutes the BHouse swamps the A-House. What was once façade now lies buried inside. 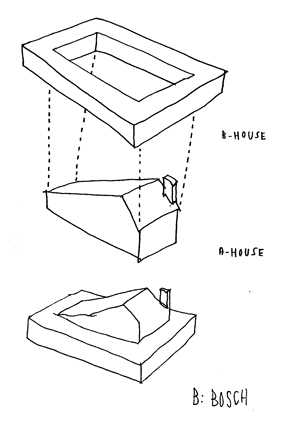 This exterior reading (A plus B) is not necessarily that of VMX who seemingly refer to the B-House as the interior summation of houses old and new (A into B). 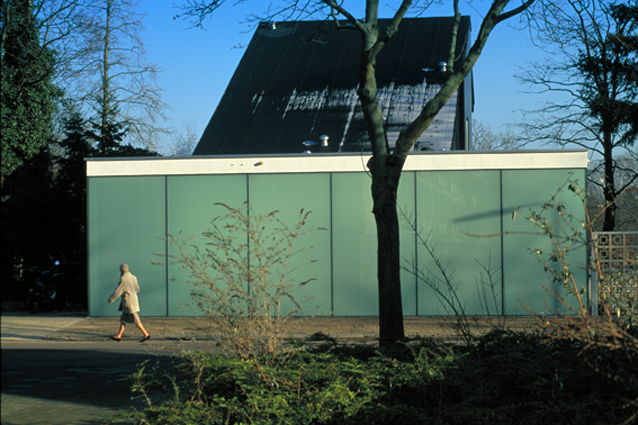 The B-House is considered here to be a peripheral ‘slab’ accommodating movement, a pedestrian ring road, providing “access to the various living spaces. The outer facades have been encased in storey-high, six by three metre glass panels that effectively dissolve the boundaries between inside and outside. Instead of building reception rooms and guest quarters – the usual strategy with this type of house – the sense of luxury is achieved by enhancing what already there with minimal additions. By also reducing the number of rooms, the basic rituals of living have been intensified”. The wife of the client dubiously provides for some of the house’s eccentricities. Her suspect knees yielding sufficient reason for an elevator (in a two-storey house!). Other idiosyncrasies include the 4m high ‘gothic’ toilet, the first floor window blinds that squint like eyelids (mechanically unfurling down from the ceiling and up from the floor), the provision for just 1 1/2 bedrooms in favour of a four-car garage. Close up, the B-House gives little away. It consciously aligns itself with the Dutch tendency to privilege conceptual potency over detail labouring. In doing so, the image of one house under siege by another is visible from the exterior; from the inside such concerns are held in check as the two houses effortlessly work together. CAVEAT: The following article was not intended to be a topical overlay of current events upon the editorial concerns of a lifestyle magazine. It accepts that the televising of global conflict has saturated the senses such that it is difficult to reload our domestic capacities without an after-image of oppositional forces appearing. One respects that against this backdrop of political unrest, the privileged comfort that we find in the Residential is indeed special.